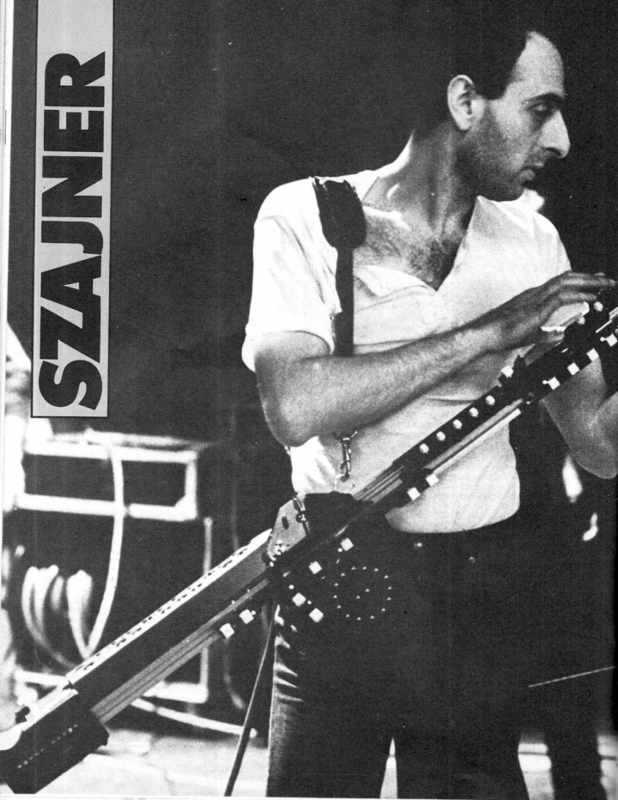 Szajner's frantic, outraged music - employing both electronics and traditional instrumentation - whirls at such a pace that the division between 'pure' and 'machine' music blurs completely. 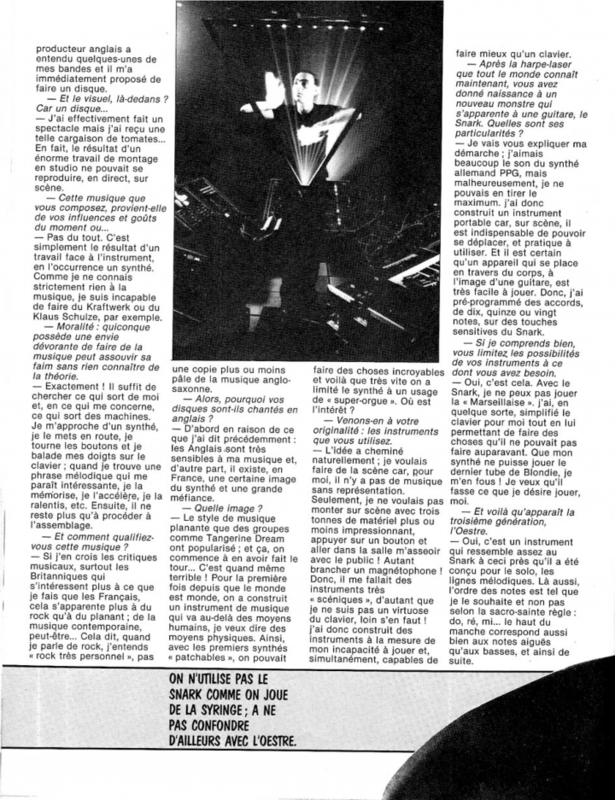 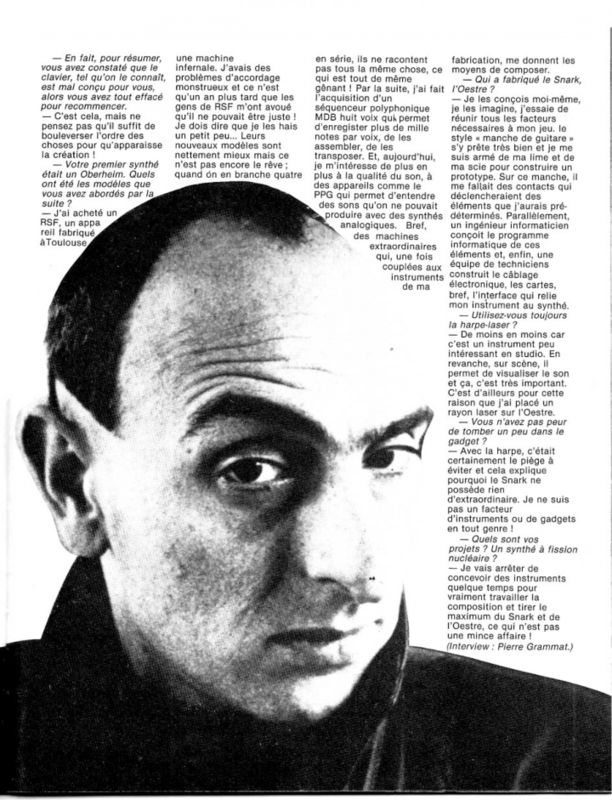 An interview in the magazine CLAVIERS in september 83 (in french). 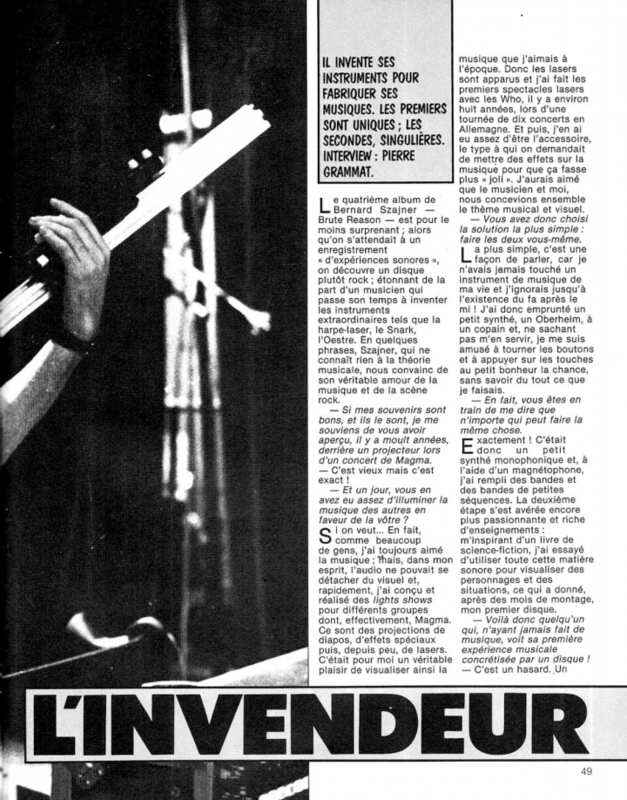 Un grand merci à Luc Finiti et à Jean-Marc du forum Anafrog pour cet article.